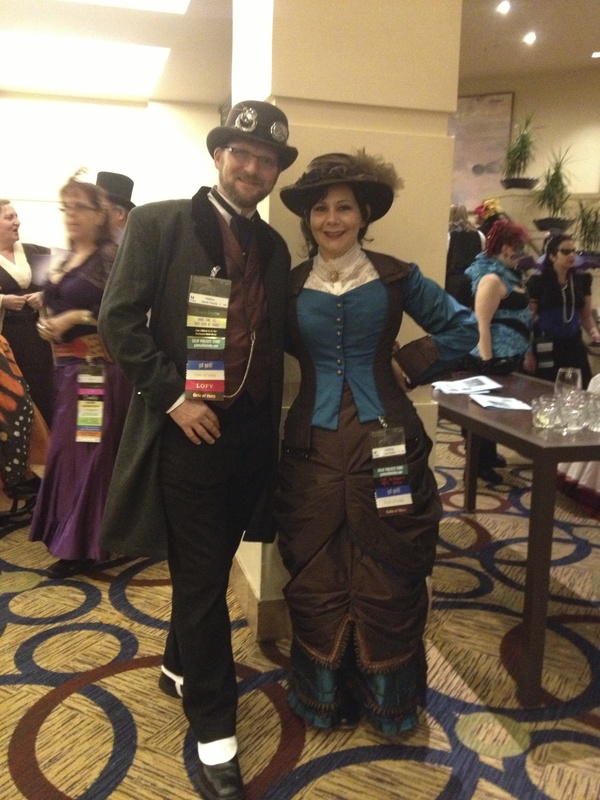 I’m still glowing from the lovely weekend I spent at Convolution. I hugged the Froud family! I was on two panels with Wendy Pini! 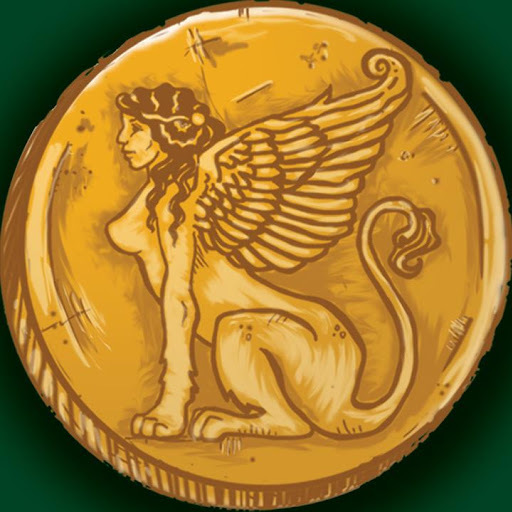 I discussed female narrators with Richard Kadrey! I sang terrible, terrible karaoke! I danced with my husband! I had a good time, is what I’m saying. When I go to these events I’m so moved by how friendly and welcoming everyone is. There are always a few people who make it a point to reach out to me, introduce me to others, help me network, and just make me feel generally comfortable – a hard thing to do since mingling at a party is not one of my life skills. Left to my own devices, I could easily make it through a whole weekend without ever managing to talk to anyone – but my peeps do not allow that to happen. People I had never met before introduced me to others, encouraged me when I was nervous about moderating panels for the first time, and swore that they totally did not even notice that one time that I knocked over a glass of water and then sat in it. Thank you all! This was the very first time I attended a convention as a guest. It was such an honor. To be in the company of such creative people, and to be sitting at the table at those panels – it made me woozy. And when I say “creative people”, I don’t just mean the guests of honor, who are some of my creative heroes (Wendy and Richard Pini, of Elfquest fame, Brian and Wendy Froud, Richard Kadrey). I also mean my fellow convention-goers. Every single person I talked to made something. some of us blog, some build things, some game, some make music, some design and make costumes – there was every kind of artist. Whether or not we were “professional” was entirely beside the point. The point was that we were all profoundly passionate. 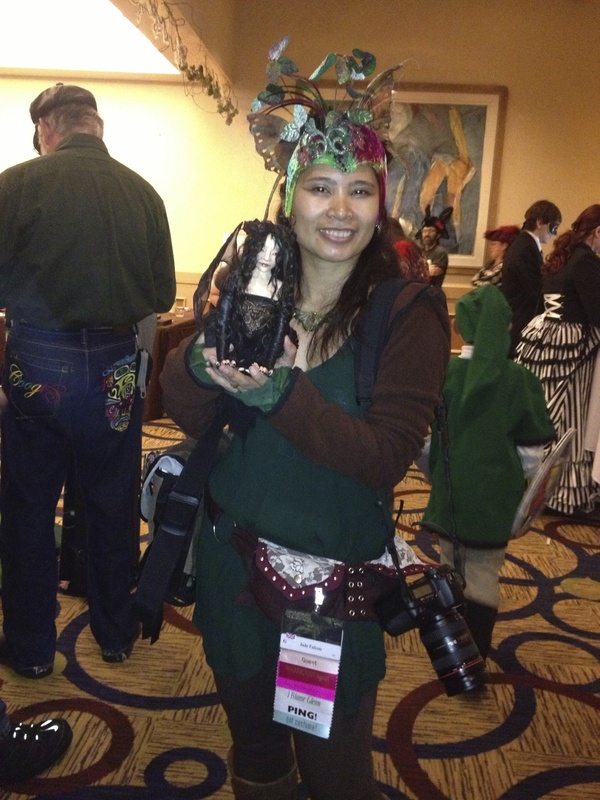 Here’s some pics from Convolution. One thing is clear – if I’m going to keep this up, I absolutely must learn some photography skills. There’s nothing high quality about these images. But I do hope they will give you a sense of some of the lovely cosplay I saw! 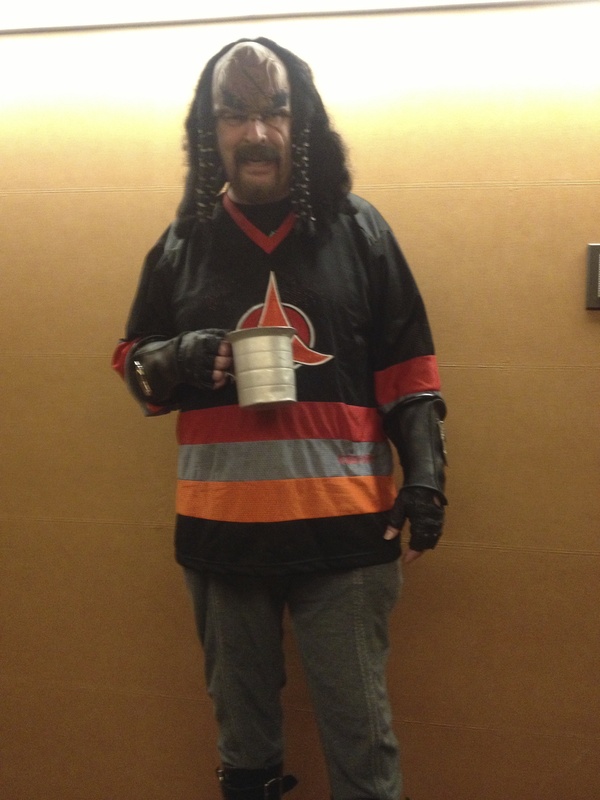 I left Captain Hook chatting with my mom, who sews, and when I caught up to them again my mom said, “Oh honey, she’s been giving me lots of ideas”. Now I am both excited and afraid. 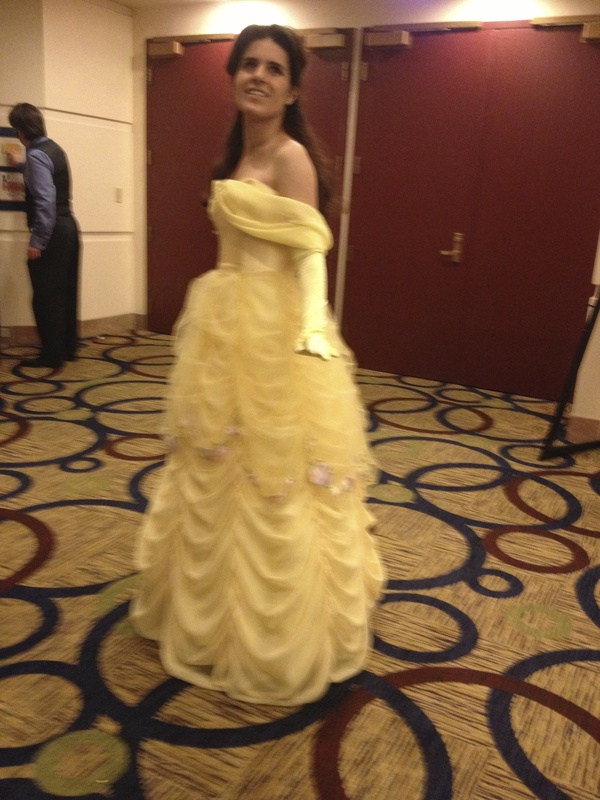 The Belle of the Ball! Oh, c’mon – you know someone had to say it. The second generation! 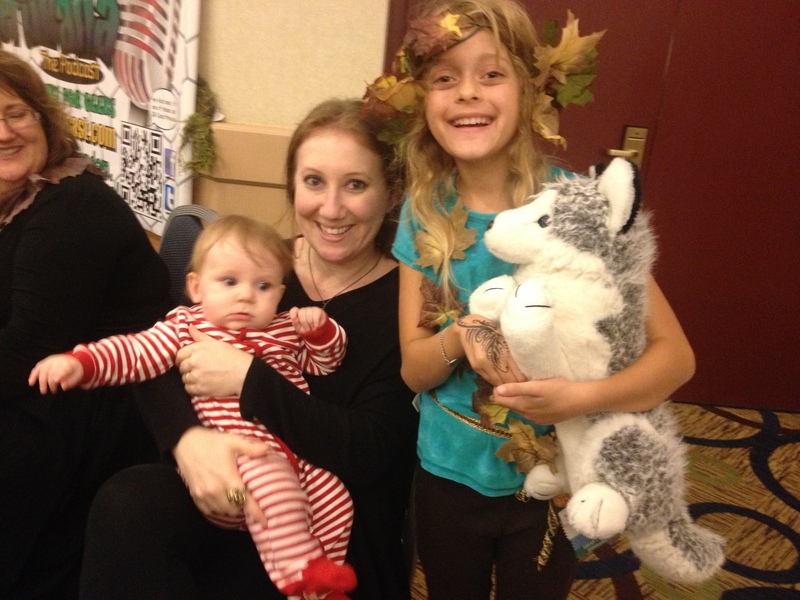 Toby Froud’s baby, his wife, Sarah, and an elf. If we count Wendy and Brian Froud as Generation One, this is actually Generation Two and Three. 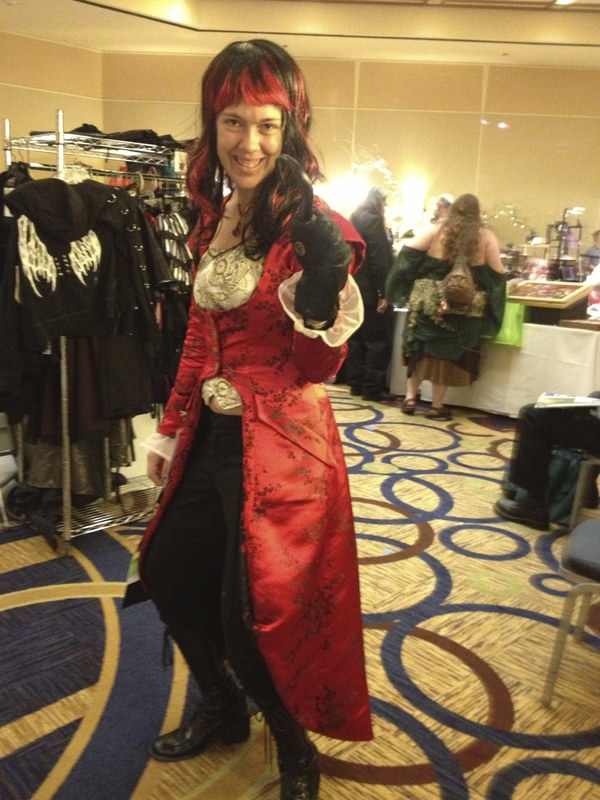 I don;t know how many outfits this woman has, but I’ve seen her at two cons now, and she had a different costume on every time I saw her, and they were all stunning. This couple sang, “I’ll Never Tell”, from the musical episode of Buffy the Vampire Slayer, at Karaoke night. It was adorable. And don’t they look awesome? I love this woman’s attitude! 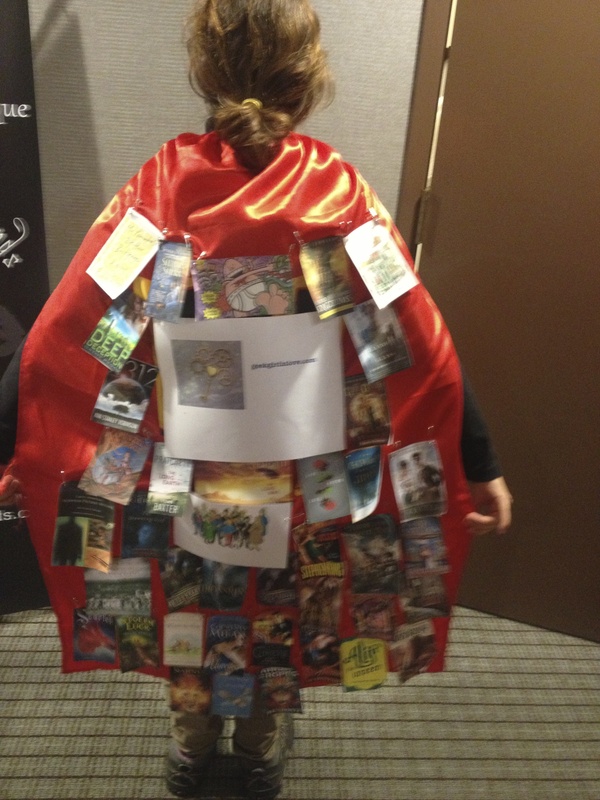 Last but not least, me, proudly sporting the famous Geek Girl in Love cape. For decorative purposes only. Not recommended for use in combat. Do not wear near open flame or jet engines. 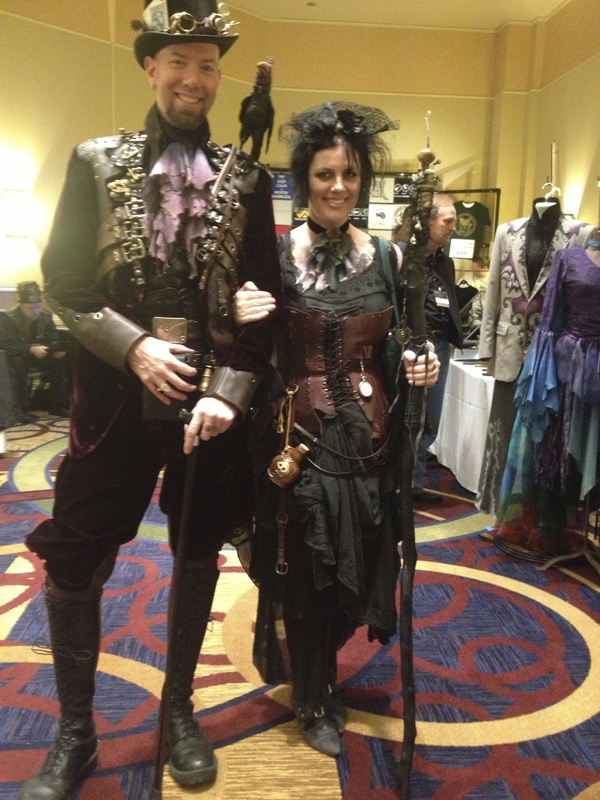 This entry was posted in Blog News, Rants and Raves and tagged Convolution, Cosplay.